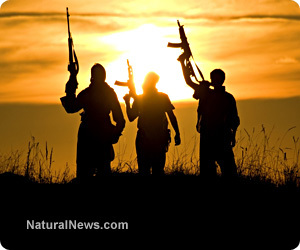 (NaturalNews) For weeks after the attack on the U.S. Consulate in Benghazi, Libya, in which U.S. Ambassador Christopher Stevens and three other operatives were killed, President Obama and his administration told the American people and the world that it all went down because of an anti-Muslim video made by a hapless California man. "While the United States rejects efforts to denigrate the religious beliefs of others, we must all unequivocally oppose the kind of senseless violence that took the lives of these public servants," Obama said immediately following news that the ambassador and some of his security staff had been killed on the eleventh anniversary of the 9/11 attacks (Note: historical dates have significance in the world of Islamic terrorism). In the days that followed, the administration circled its wagons around the narrative that the video, titled, "Innocence of Muslims," was responsible. On Sept. 14, three days after the attack, White House spokesman Jay Carney told reporters, "Let's be clear, these protests were in reaction to a video that had spread to the region." As it turns out, according to several whistleblowers who came forward and provided testimony to a House panel May 8 - nearly eight months after the attack - the video narrative was not only phony but negligent and highly offensive to the new Libyan regime that came to power in the wake of the death of longtime Libyan strongman Col. Moammar Khadafy. Greg Hicks, the deputy chief of mission in Libya who became the top U.S. diplomat in the country after Ambassador Chris Stevens was killed, has told the House Government Oversight Committee that not only was the attack on the Benghazi consulate an act of terrorism, but that officials knew it immediately, that the administration had been warned of a deteriorating security situation, and that on the night of the attack "it appeared some were trying to lure even more U.S. personnel into a separate 'ambush' while the attack was still being carried out," Fox News reported. Hicks described to the panel how, as officials were trying to determine what had happened to Stevens, they were getting phone calls from alleged tipsters who said they knew the ambassador's whereabouts and urging Americans to come after him. "We suspected that we were being baited into a trap," Hicks said, adding he didn't want to send personnel into a situation he reckoned was an "ambush." In emotional testimony, Hicks then described how Libya's prime minister called him later to tell him that Stevens in fact had been killed. "I think it's the saddest phone call I've ever had in my life," he told lawmakers. Earlier reports noted that the whistleblower said he had been contacted early by Stevens, and that the ambassador told him in no uncertain terms, "Greg, we are under attack." It would be the last time Hicks would hear from Stevens alive. Hicks' testimony, and that of the others who are poised to provide key, never-before-heard details of the attack, is a direct challenge to the administration's narrative. Hicks noted that before Rice went on her round-robin of television appearances Sept. 16, he had never heard of the video and that the ambassador never mentioned any demonstration before he died. "I was stunned," Hicks said of Rice's comments. "My jaw dropped, and I was embarrassed." He added that Rice never bothered to talk to him before she made those appearances. Neither did Hillary Clinton, who was Secretary of State at the time, before Rice went on. And Obama couldn't be bothered; after all, he was in the middle of an election. During an appearance on CBS News' "Face the Nation" program, Magariaf said, "The way these perpetrators acted, and moved ... and they're choosing the specific date for this so-called demonstration, I think we have no, this leaves us with no doubt that this was preplanned, determined...predetermined." Disregarding this very candid statement by Libya's top leader - publicly - was not just politically cowardly, but also very demeaning and insulting to Magariaf, who was made to look foolish and unimportant to his people.